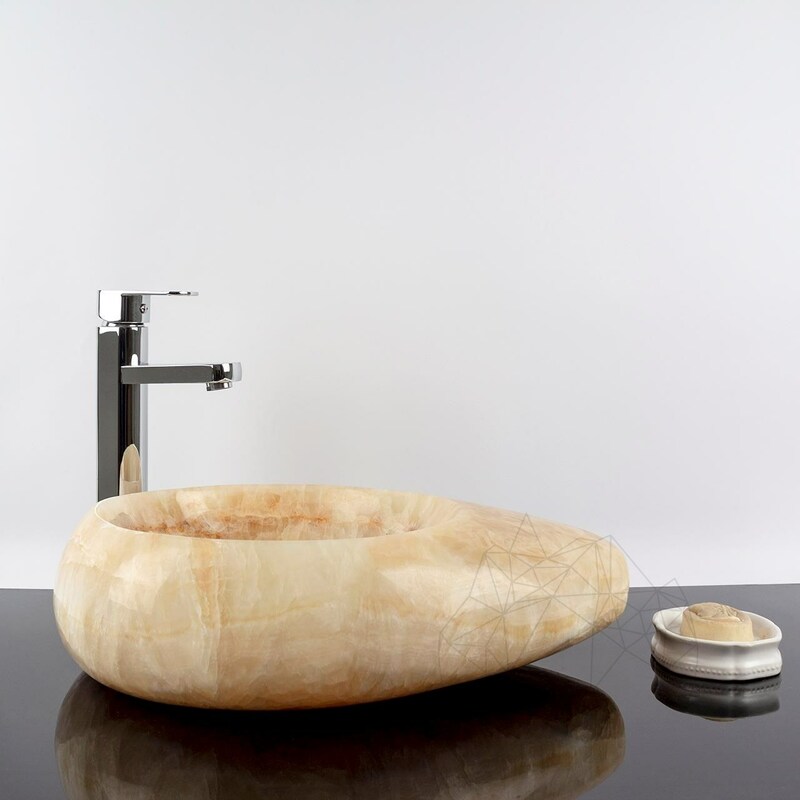 An onyx bathroom sink resembles a drop of honey, cut from the middle, then laid easily and practical directly over the bathroom countertop. It could also be compared to a stone clam, an unreal spoon or a large doll shoe. The color of this bathroom sink tries to remain on the glossy surface, while its reflection climbs the bowl picture on the walls. Carefully chosen dimensions provide enough space, including for the soap placed on the edge. Sink faucet layout is unique, over the countertop in its thinnest part. Otherwise, select a sink faucet with a longer pipe and then everything comes down to operating mode. The valve and the siphon will work together for a leak that takes into account the thickness of the countertop plus those of washbasins’. There's no need for overflow. Bathroom sinks need to be cleaned and sealed after installation, only with professional solutions. 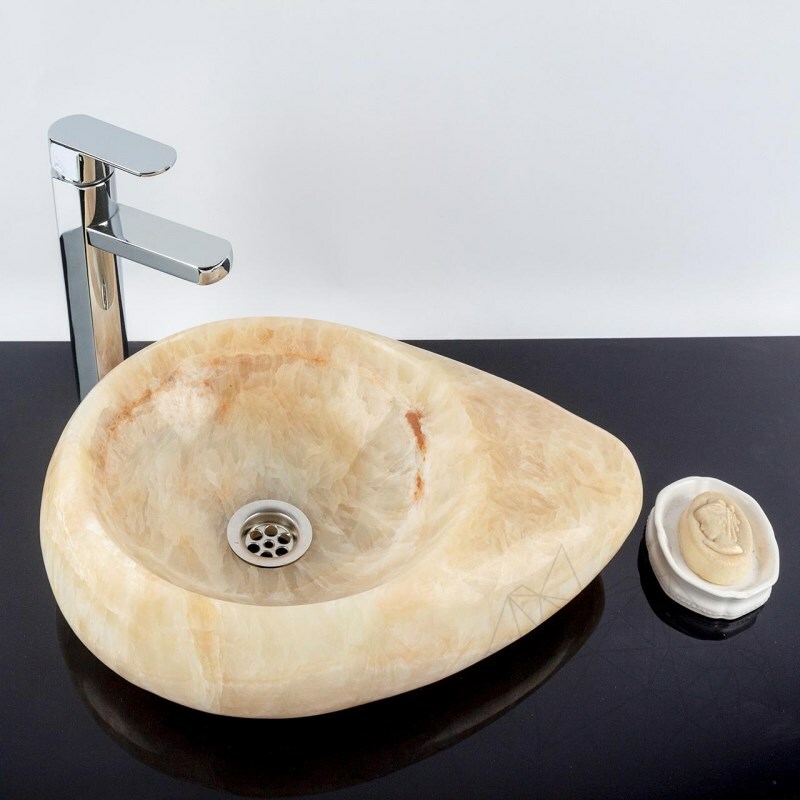 As a result, the initial appearance of your sink is maintained and lifetime is extended.